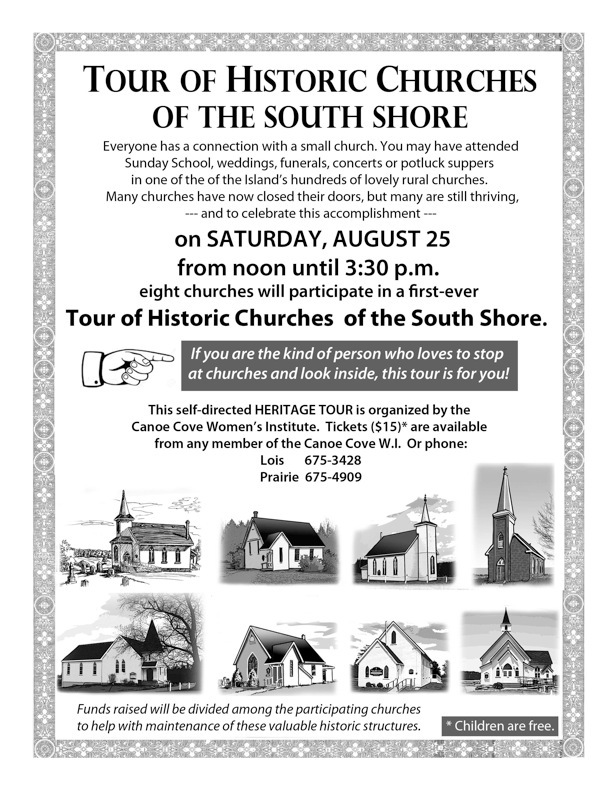 The Canoe Cove Women’s Institute is organizing a tour of historic churches in our area. 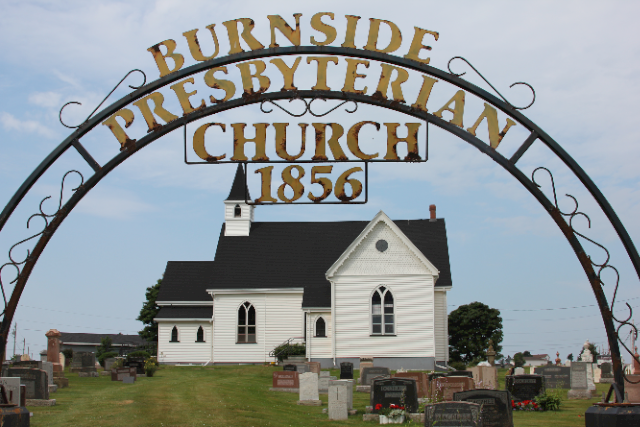 Burnside Presbyterian and Baptist Churches in Clyde River are included in this tour. Check out the poster below for details on purchasing tickets. It is with heavy hearts that we share the news of the passing of Douglas Stewart Gillespie of Clyde River. Doug was an active community member, having served as councillor for 8 years and then Chair of the Clyde River Community Council for the past 11 years. He was very proud of Clyde River and all the great things that had been achieved over the years. And he was also proud that we had a website to broadcast all the good news to our larger online community, including his Gillespie cousins. Clyde River was his home place and he spent his early days at Clyde River School. He grew up on the Bannockburn Road, nearby his current home that he and Thelma built after they returned from New Brunswick and where they raised their three children Ryan, Amanda and Mark. Doug was a Clyde River booster. He helped found and promote (and peel apples) at the annual Apple Pie Festival. He made a point of having Council recognize and celebrate achievements of community residents by presenting plaques, sending cards and adding news to the website. He led the campaign to have Emily Bryant awarded an Order of Prince Edward Island. He encouraged Council to support the production of the History and Stories of Clyde River book. As Council Chair, he oversaw the formation of the Friends of Clyde River which is actively preserving and promoting Clyde River and Island history. On behalf of Council and the community, he made many contacts with government regarding issues such as road safety and turning lanes, signage, infrastructure proposals, emergency preparedness – all in the interest of keeping Clyde River the safe and attractive community it has always been. 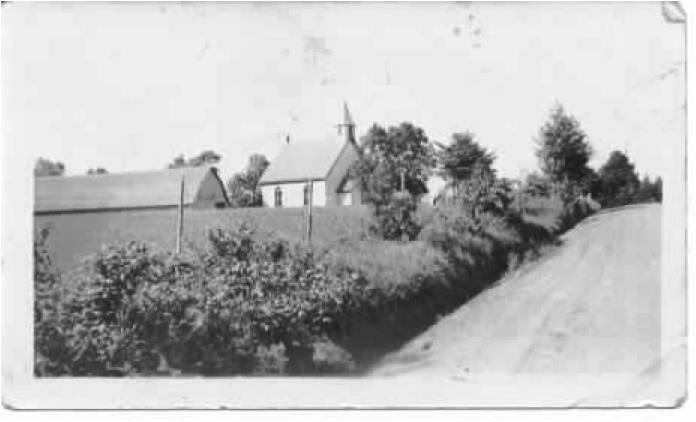 Doug regularly attended Burnside Presbyterian Church where he was a member and had served as one of its trustees. Doug was very proud of his family and his Gillespie heritage. He would always be ready to tell the story of the mineral that was discovered by his ancestor Frank Gillespie in 1922 in Alaska – story here. When Vivian Beer came across a poem that Frank had written about his PEI home, he sent it to his niece Patricia Murray who translated it to a song and performed it at a Concert in the Park held at Murchison Place Park. He was keen to celebrate his dear daughter Amanda’s accomplishment of receiving her Bachelor of Education, story here, and helped us connect with his wife Thelma when she took her adventure in the North, story here, and share his visit from Gillespie Cousins, story here. On behalf of the community, we wish to offer our condolences to his family. We will continue to champion our community in his memory. Jane Von Bredow sent this photo of the Burnside Church shed. The picture was given to her by Bertie Hyde and she thinks it may have been from the 1930s. We welcome your comments offering any further clues from this photo and memories/stories passed down to you about the church shed. Thanks, Jane, for finding this nugget of history. The photo also gives us a glimpse of the Clyde River Road. Central Parish Presbyterian Churches will once again be hosting a fundraising lunch at the Riverview Community Centre in Clyde River on Sunday, November 10th, 10:45 a.m. to 12:45 p.m. The meal will include chilli, biscuits, cake and ice cream along with tea, coffee and milk. This is the same home style meal that they serve at the soup kitchen. Peanut butter and jam with biscuits is available as an alternative. Invite your family, friends and neighbours and show your support for this great cause. Admission by donation. Proceeds will go to the Soup Kitchen Ministry. The Burnside Women’s Morning Out Group will be holding an indoor “New to You” Yard Sale on Saturday, October 5th, from 8:30 a.m. until 12:00 noon at Clyde River’s Riverview Community Centre. Some of the proceeds will be going to Burnside Presbyterian Church and the Riverview Community Centre. The event will happen rain or shine. For more information about the sale, please contact Millie Kikkert at 675-3061.